Comfort Empowerment and Advocacy Foundation (CEAF) is saying no! 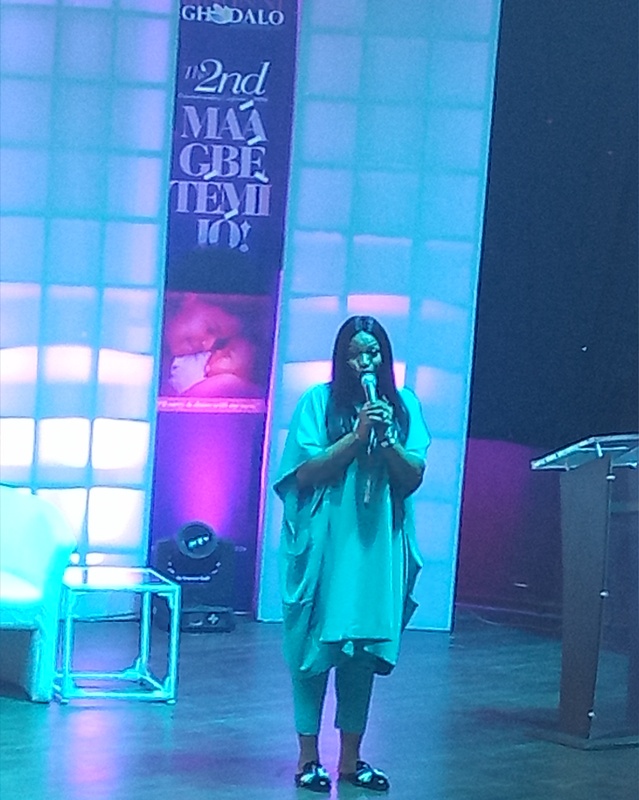 In line with her resolve to make a difference in the lives of couples who are unable to bear children of their own through natural birth process, by offering to fund their fertility treatments via her foundation, former beauty queen and events guru, Ibidunni Ibdiunni through her Ibidunni Ighodalo foundation, recently hosted the second edition of the Parent-in-Waiting conference on fertility. 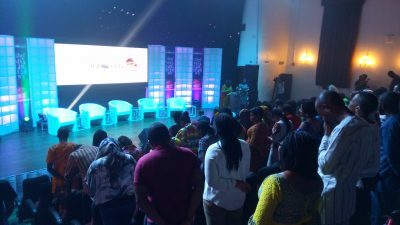 Just like the inaugural edition, this year’s edition aptly tagged ‘Maa Gbetemi Jo’ which held at the Agip hall of the Muson centre, Onikan, Lagos saw quite a number of couples gather in the hope that their desires to be parents would finally be realized. 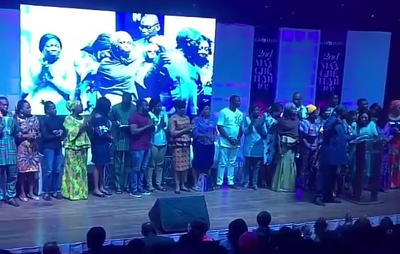 Of the huge number that applied for the fertility grant, 22 couples were eventually selected to be recipients of the 2019 fertility grant, way above the original number of 10 couples that were penciled down to be recipients of the grant. The conference kicked off with quite a number of facilitators who took turns to lecture the audience on some of the root causes of infertility as well as treatments (medical and social) and how to deal or prevent the social effects of infertility. Dr Ogunniran took the audience on a topic he titled Fibroid and pregnancy where he spoke extensively on the impact of fibroid on infertility and its effects on pregnancy. Mrs Oluwatoyin Bode-Abass, a medical practitioner spoke on handling infertility and the issues that goes with it, with special focus on stigmatizatio and how to deal with it. While Dr Nini Iyizoba spoke on how age, body weight, food choices, stress, smoking etc adversely increases infertility in both sexes, Dr Rotimi Coker addressed the issue of mental health in infertility. 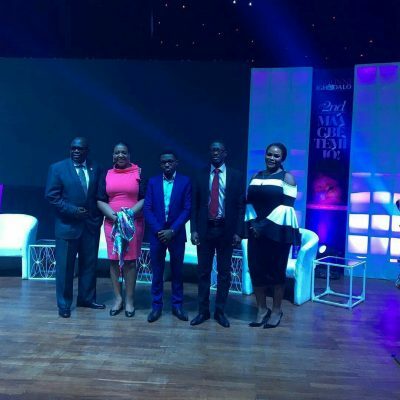 Using his own personal experience, former three-time Lagos State commissioner and Chairman of Asset Management Corporation of Nigeria, Muiz Banire charged the audience on finding encouragement while in waiting. He talked about how best to overcome societal, economic and family pressure. Present at the conference which was hosted by on air personality, Omotunde ‘Lolo 1’ Davies were the founder and Senior Pastor of the Kingsway International Christian Centre, Matthew Ashimolowo, former first lady of Lagos State, Mrs Abimbola Fashola, world’s richest woman, Mrs Folorunsho Alakija, former Lagos State commissioner and Chairman of AMCON, Muiz Banire, Head Pastor of Trinity Church and husband of the convener, Pastor Ituah Ighodalo, among several other dignitaries.